Senegal-based classifieds app CoinAfrique has raised a EUR2.5 million (US$3.085 million) funding round from several investors as it targets 10 million monthly users by 2022 in French-speaking Africa, where it is already the most downloaded classifieds app. Launched in May 2015, CoinAfrique connects online sellers and buyers in 16 African countries, and has more than 150,000 active users. Its hub is in Dakar, Senegal, but it has also established offices in Cotonou, Benin; Lomé, Togo; Abidjan, Ivory Coast; and Kinshasa, Democratic Republic of Congo (DRC). New shareholders part of the EUR2.5 million round include impact investment firm Investisseurs & Partenaires (I&P), and a pool of investors represented by French Partners and Mercure International. “The successful fundraising highlights the fact that CoinAfrique has positioned itself in a booming market and will allow us to accelerate our activities on our existing markets, while serving new countries and continuing to develop the best user experience, one that is always closest to the needs of our community of buyers and sellers,” said Matthias Papet and Eric Genêtre, co-founders of CoinAfrique. I&P president Jean-Michel Severino said CoinAfrique was a promising company with huge growth potential, particularly in French-speaking West Africa. 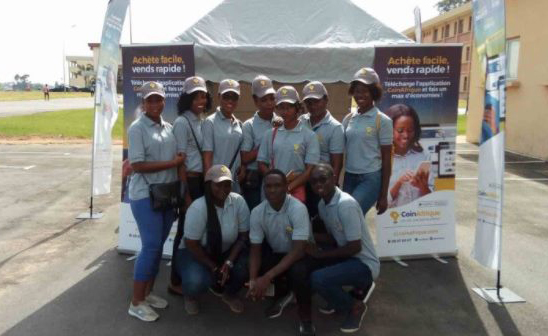 “Indeed, CoinAfrique offers an innovative classifieds offer, based on the growing use of new technologies and adapted to the consumption habits of young people, a rapidly expanding age group,” he said. In November of last year, CoinAfrique was among the 20 startups selected to participate in the first edition of XL Africa, the accelerator programme initiated by the World Bank.